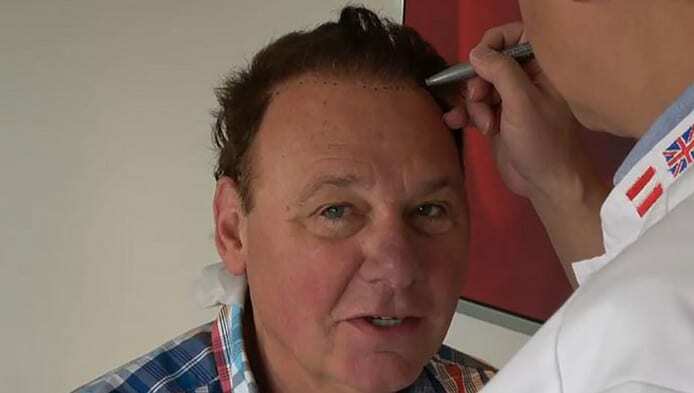 Newscaster Jan de Hoop (61) is not a strange face at Hair Science Institute and visited us last thursday (september 15th) to touch up his receding hairline. For a while now, Jan de Hoop shares his private life through his video log “Hoop gedoe’, and so he took his camera with him during his visit at Hair Science Institute Maastricht. In the so called vlog, de Hoop is frank about his hair transplantation, he discusses the treatment with Drs. Coen Gho, he films the progress of the treatment and he proudly shows of the result. And what is a visit to Maastricht without having a taste of a real “Limburgse Vlaai” (a local pie) with the inventor of the HSI-method: Drs. Coen Gho. The next day Jan de Hoop visits his hairdresser and continues his holiday with a visit to his chickens.